Among the handful of DJs that have driven Houston’s nightlife scene since its first beat, there’s no one else quite like DJ Gracie Chavez. For over a decade, Gracie has kept pushing the crossover of music genres, playing a spectrum of music and winning folks over. 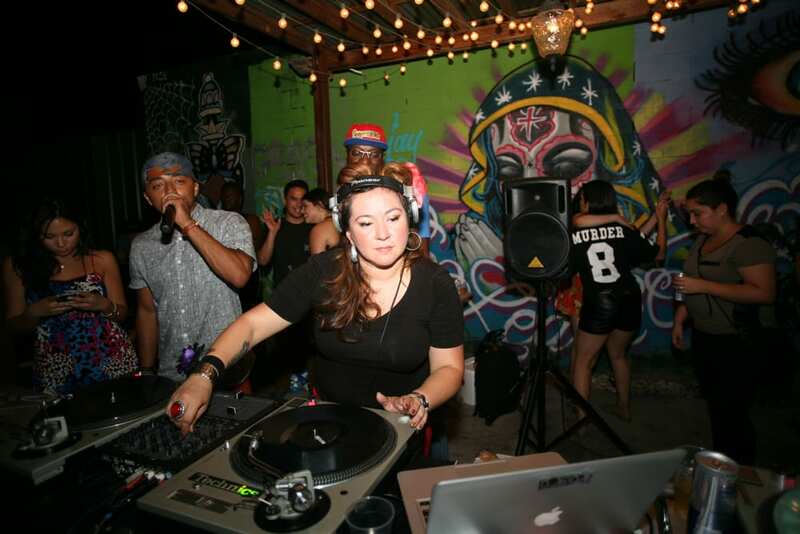 Her sharp skills and taste-making selections have earned her Houston’s Best DJ (2016) title, and made her the top choice for events all over Texas. This mami runs Bombón Music, a record label she co-founded as an extension of Bombón, the Gulf Coast’s ultimate tropical bass crew. She also founded Les Femmes, Texas’ best all-lady DJ crew, and is the founding DJ workshop instructor for Girls Rock Camp Houston. She holds monthly DJ residencies at Houston’s House of Blues (Brown Sugar) and Marriott Marquis Texas-sized pool deck (2017-2018).